Rocket Embroidery offer Printed Banners for any purpose. Our in house banner printing services have completed custom designed banner orders for; Weddings, Birthdays, Company Advertisements and much more. Need to get advertise a Business or Event? Banners are a great way to gain custom by informing people passing by. Whatever your design requirements, we can provide you with the highest quality banner! Check out the printed banner we did for Keenans Installations LTD. Our banner printing services are great for your branding, gain orders or clients with customised banners. 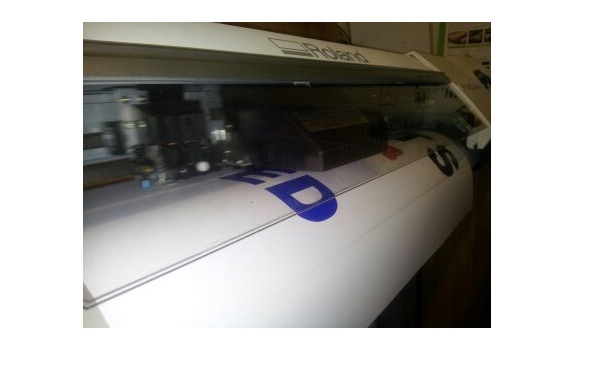 All of our banners are printed in house at our Shop location in St Helens. Check out the Banners we have done! 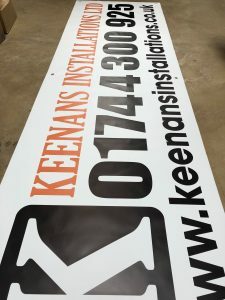 At Rocket, we are based in St Helens and provide banners to customers around the Merseyside area. In this section, we will showcase all of our recent work, so don’t hesitate to check out our previous work for design ideas.